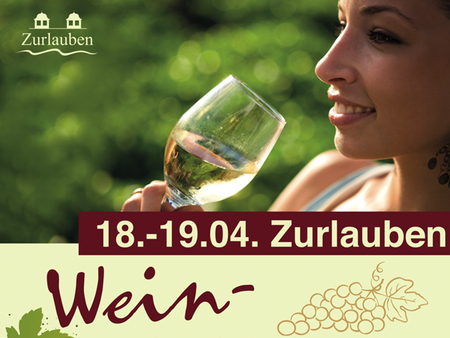 The fourth annual spring wine festival at Zurlauben in Trier will take place on April 18 and 19. It's one of the first opportunities to taste the 2014s from the Upper Mosel, Saar, Ruwer, and Middle Mosel. This year's event, organized by Karl Schmelzer of Restaurant Bagatelle, has a number of growers in the Saar region. A ticket only costs 15 euros. In addition, the sharp and jovial Claus Piedmont, a winegrower on the Saar and head of the Trier testing center for AP numbers, will give a seminar on tasting wines on Sunday, April 19, at 4pm. The price is 15 euros (or just 25 euros for both the seminar and day pass). Thank you for the report, Lars. Sounds like a lot of fun! Interesting to see that Martin Foradori of the Hofstätter estate in Alto Adige is now a co-owner of Dr. Fischer. I’ve liked his entry-level Pinot Noir and Weissburgunder in the past. Of course, Martin’s cousin Elisabetta is one of the absolute top winemakers in Alto Adige – best known for her Teroldegos, but she is also making some very compelling whites. Will look forward to seeing the new labels that you mentioned – Saarstein especially needed a new look IMHO. Andrew, I’ve never tasted the wines from Hofstätter or Elisabetta Foradori, although she is well known in the States. Schloss Saartein’s new labels look very good. I need to taste more of their 2014s. Yes, I believe Kevin Pike of Schatzi Wines created those names for Leitz’s entry-level wines.